A practical and stylish chair inspired by Charles Eames. It's impossible not to relax against the incredibly comfortable seat and backrest. The padding on the chair not only adds to the comfort, but the design of fabric also blends into any interior and will create a trendy effect. 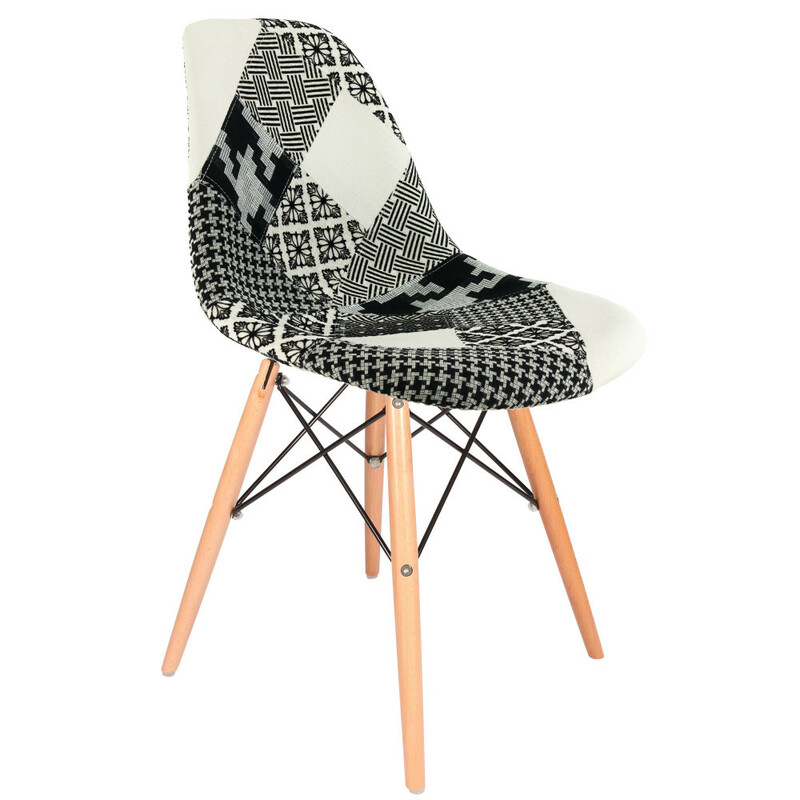 As the patchwork is unique to each chair, the pattern on the fabric may vary. Ideal for: Living room or office. Other features: Available with or without armrests. Legs are beech.